The product you purchase is only an activation code. This is totally adequate and lawful to download the item from official servers. 1. Buy and pay for the item. 2. Open up the eBay message sent from us. 4. Receive the code and activate it on the specific platform. If you have any problem with the activation/questions. Please contact us via email, we are here to help you and will do our best to answer as soon as possible! Rest assured. You will be carefully taken care off. 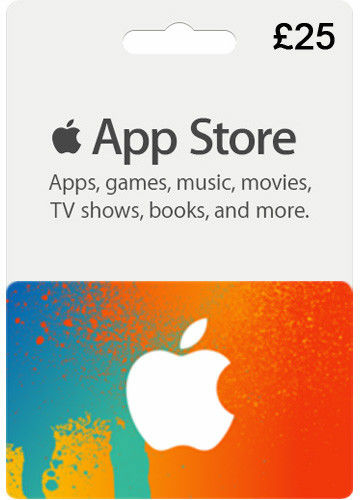 iTunes Gift Card &pound;25 GBP Key - 25 Pound UK Apple Store Code Cheapest On Market iTune Store Key Platform Apple store/ Itune Product &pound;25 Gift Card Code Language English Genre n/a Where do I activate?